We manufacture and offer our stainless steel fabrication products to our clients in various industries. We bring in use the best quality stainless steel conforming to SS 304, SS 316, SS 304 L, SS 316 L, SS 310, SA 213 and carbon steel conforming to SA-515, SA-516 or equivalent, IS-2062, SA-106 grade. 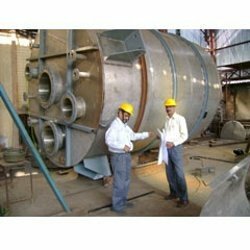 We manufacture different products like pressure vessels & Storage tanks with torispherical, ellipsoidal ends for chemical, petrochemical and cryogenic uses, process equipment, silos and storage tanks, reactors, reaction vessel, pre-heaters, hoppers, sheet metal fabrication, pipe weldment, shell & tube heat exchangers that find their usage in various industries like dairy, food, brewery, pharmaceutical industries. 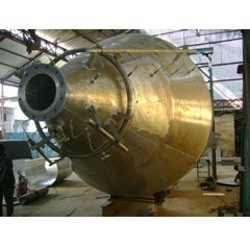 We are designing and manufacturing premium range of vessels that are widely used in chemical processing units. These vessels are made of finer quality material that ensure desirable durability and resistance against corrosion and wear and tear. 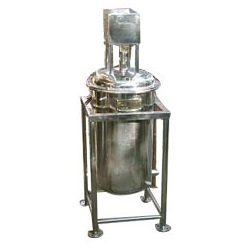 SS 316 High polished vessel with high speed shearing agitator for exothermic reaction in Pharmaceutical industry.These vessels are being manufactured as per various industrial standards keeping in mind the client’s requirements. 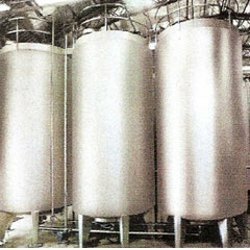 Moreover, these pressure vessels are being tested stringently before being supplied to the clients. SS 304 Vessel with Nozzles are mainly used for cleaning tanks and vessels. It is useful in tackling the following problem areas such as high cost of labor involvement, increased sanitary requirements, disposal problems of contaminated cleaning solutions and safety requirements at work for cleaning solvents. SS 304 Hopper with eccentric cone supplied to Mitsubishi Chemicals, Haldia for their HP project. 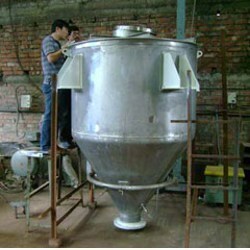 Steel hopper are use pouring powder, liquid, etc in pharma firm & other firm. 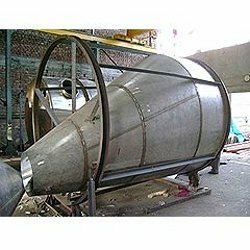 Steel hopper are manufacture as per customer requirement. SS 034 insulated special finish Beverage Storage Tanks. Beverage Tanks from 3.5-barrels/4-hectoliters to 150 barrels/172-hectoliters. Our standard tank design features custom-built true shadowless man-ways and separate CIP and blow off tubes. Our 3 mm sidewall and 2 mm cladding is available in a number of different finishes. Our tank interiors are a 2 B finish and sterile polished to 440 grit. Our engineers can custom design tanks and vessels to meet the individual requirements of our customers. A full one-year parts and labor tank warranty, plus a 60 day after delivery buy-back guarantee: the only one in the industry. Looking for Stainless Steel Fabrication Products ?